MyWebs is a WordPress Design and Development company based in Cape Town specialising in WordPress. Services include affordable WordPress Help and Support, Custom Development and Design, CSS and Theme Customisation, Speed Optimisation, and Responsive Design Implementation. But with cheap cardboard boxes that turn smartphones into virtual reality headsets and intrepid developers pushing for VR standards for web browsers, widespread virtual reality on the web is getting closer and closer. Google Cardboard – Google Cardboard turns any compatible smartphone into a VR headset for the cost of a few cups of coffee. Yup, about $10-15 can get you your very own VR headset. 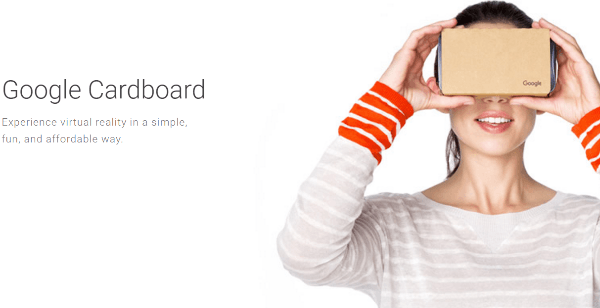 For a quick overview of Google Cardboard, this YouTube video is a great start. Oculus Rift – Best known for being snapped up by Facebook for a couple billion dollars, Oculus Rift creates quality, but expensive, headsets. HTC Vive – HTC Vive isn’t cheap, but those willing to shell out ~$800 get what is, by all accounts, an amazing virtual experience. Samsung Gear – Samsung Gear is one of the few headsets to rival Google Cardboard in terms of affordability. It costs around $100 but is limited to working with certain Samsung smartphones. While not an exhaustive list, these are the virtual reality headsets which come up most commonly when discussing virtual reality and the web. What About Website Support for Virtual Reality? Getting headsets into the hands of the public isn’t the only problem with virtual reality. We also need libraries to support easy virtual reality implementation for websites. Thankfully, those are coming along well, too. It’s available in the nightly builds of both Firefox and Chrome and seems to be seeing increasing adoption. How Do Virtual Reality and Web Design Intersect? Imagine a site on the scale of Wikipedia with virtual reality. Instead of reading about famous locations, you could actually experience them through virtual reality. It may be a long way off, but that’s where I see the web going…eventually. But there are other specific areas in which I already see VR being heavily pushed. I don’t know about you, but the only reason I go to physical stores nowadays is because I want to experience a product in person. Amazon might be cheaper and more convenient, but I can actually interact with the product at Target. But virtual reality could change all that. Imagine being able to experience products on Amazon in virtual reality. You could see it from different angles, watch it in action. It would be incredible. 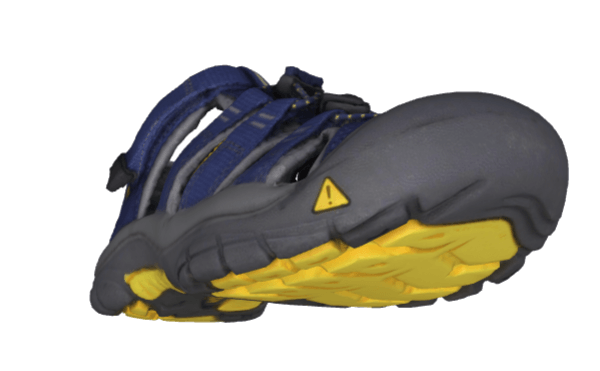 And companies like Prizmiq are already bringing detailed 3D imaging to product pictures. How long until they can offer compatibility with VR headsets for truly immersive product views? Another major use for virtual reality is all types of tours. Whether for real estate or travel, virtual reality will let websites in these niches offer immersive experiences. Sotheby’s real estate already made waves by offering virtual reality tours for some of its property listings. I think such uses will only expand as virtual reality gains traction. Beyond the rather obvious roadblock of VR headset adoption, there are some other things standing in the way of virtual reality. How do you build a website that functions for both virtual reality headset wearers and regular users alike? That’s the major problem designers will need to cope with. Right now, most implementations involve a toggle to move between modes. But is that really the best virtual experience? And how do you handle menus? Eye-tracking menus work great for wearable headsets but obviously not for desktop browsers. I don’t have answers to these questions. But I do know that having to grab my headset and hit a toggle button isn’t a very immersive experience. And it probably would relegate virtual reality to “occasional treat” rather than “daily habit.” At least for me. We already know how massively important page speed is. Are visitors really going to be willing to wait for large 4K 360 degree videos to load? For special occasions, I think yes. But for everyday browsing? That’s a tougher question to answer. 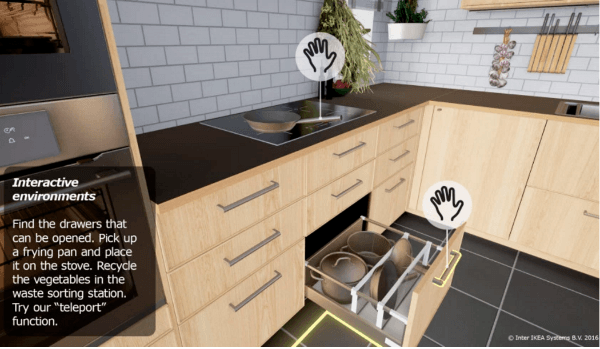 Virtual Reality and WordPress – What’s There? Let’s start with the big news, it was just announced that all WordPress.com sites will now support virtual reality images and videos. That means the 409 million visitors to WordPress.com blogs every month now have a chance to be exposed to virtual reality images. I only hope this pushes virtual reality more into the mainstream. 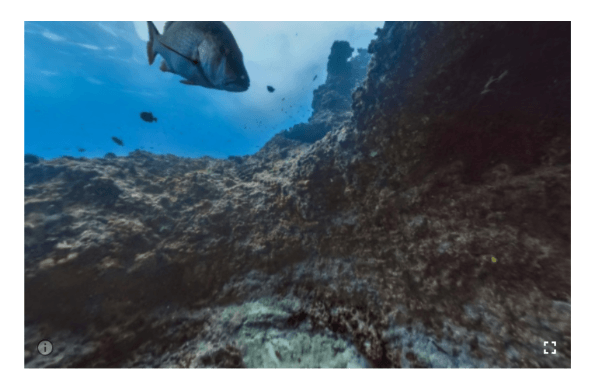 VR Views helps you embed 360-degree mono-and-stereoscopic images and videos into your WordPress site. It uses Google’s VR Views library, which makes it fully compatible with Google Cardboard. To create your virtual reality content, you can use any device that is capable of capturing 360-degree videos or images. And once you have your content, implementing it is as easy as adding a shortcode to your WordPress site. 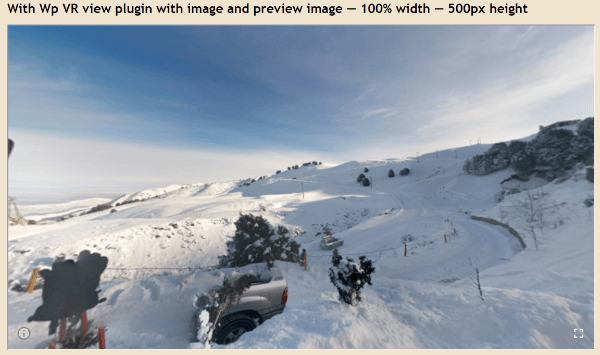 WP-VR-view is another plugin which lets you add Google Cardboard compatible virtual reality media to your WordPress site. Smartphone users can easily move between regular mode and Google Cardboard mode to take advantage of their VR hardware. Where Can Virtual Reality and WordPress Go From Here? I would love to see virtual reality product views for WooCommerce. In fact, Michael Tieso has a post delving into this very topic. He’s even created some experimental implementations of virtual reality for WooCommerce. And while he cautions they aren’t to be used on production sites, savvy devs may want to delve into his GitHub to see what can be done. I also hope that, with the inclusion of virtual reality for WordPress.com blogs, virtual reality images and videos make their way to self-hosted WordPress without the need for a plugin. It seems like the technology is there, we’re just waiting for it to be accessible to everyone! Previous PostWhy responsive web design is important?